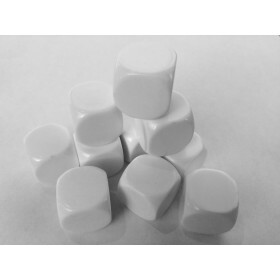 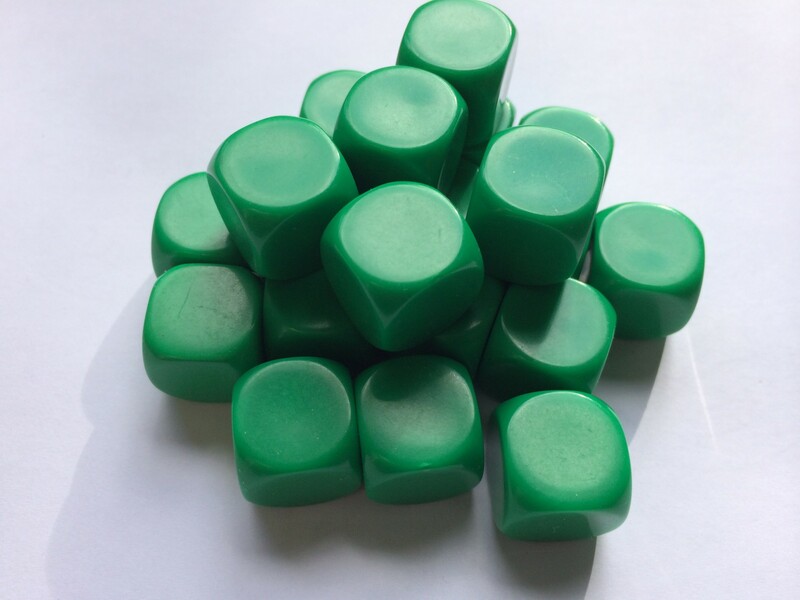 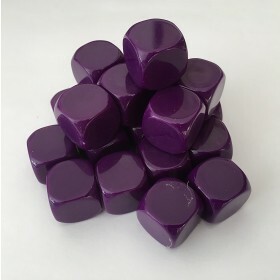 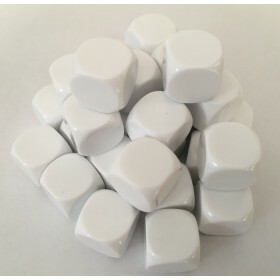 Green 16mm cubical dice which can be easily marked to generate original probability experiments, or be used in literacy or other learning activities. 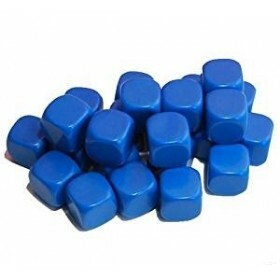 We also sell in white, blue, purple and many other colours, with and without pens. 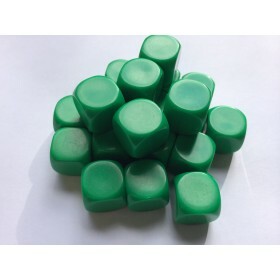 Also available in 14mm - see below.